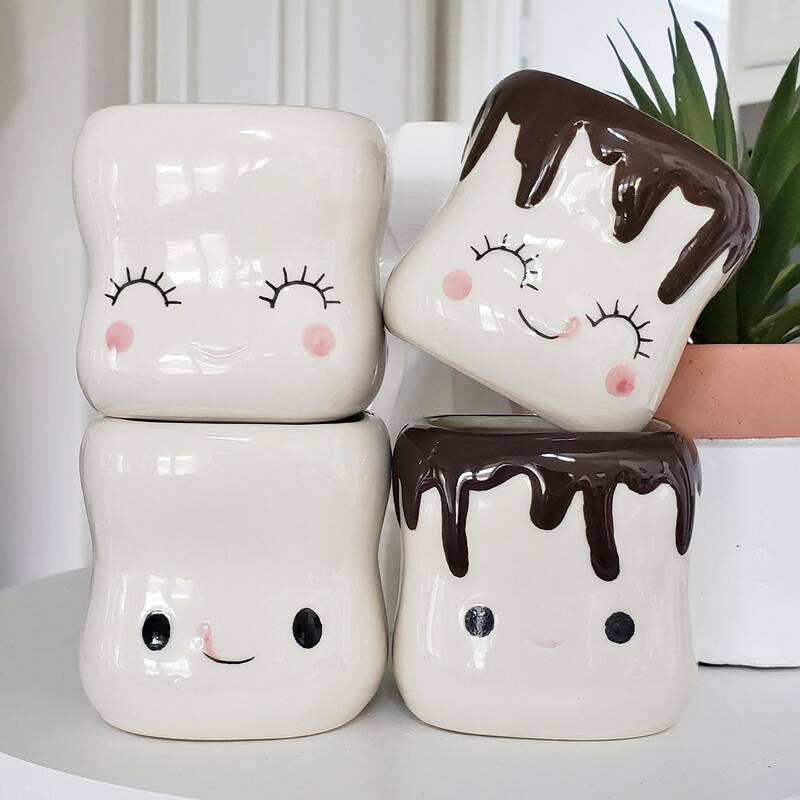 Marshmallow Smiling Faces Hot Cocoa Mugs Marshmallows have never been cuter! 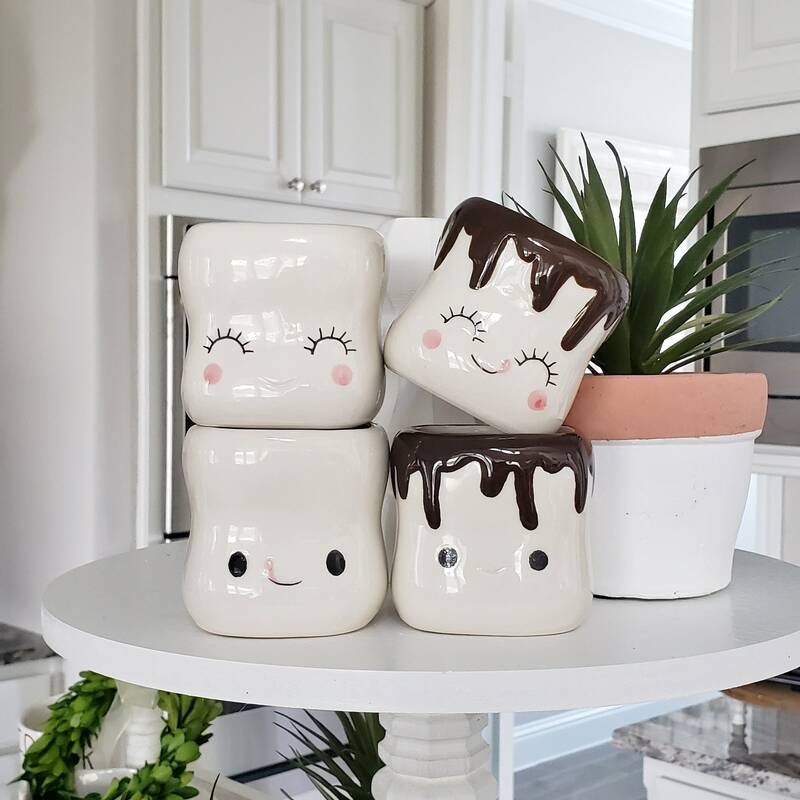 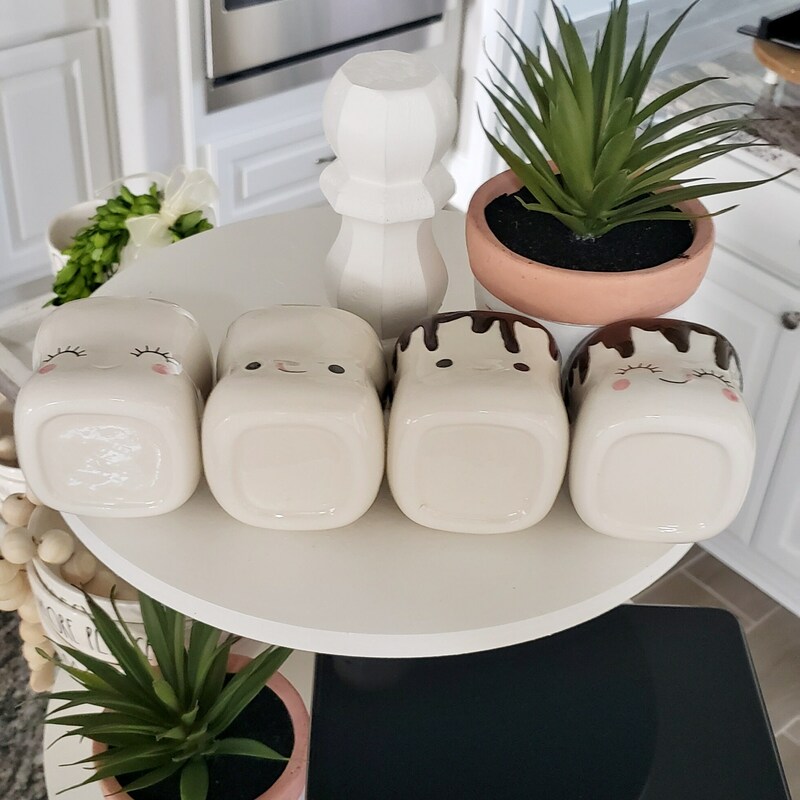 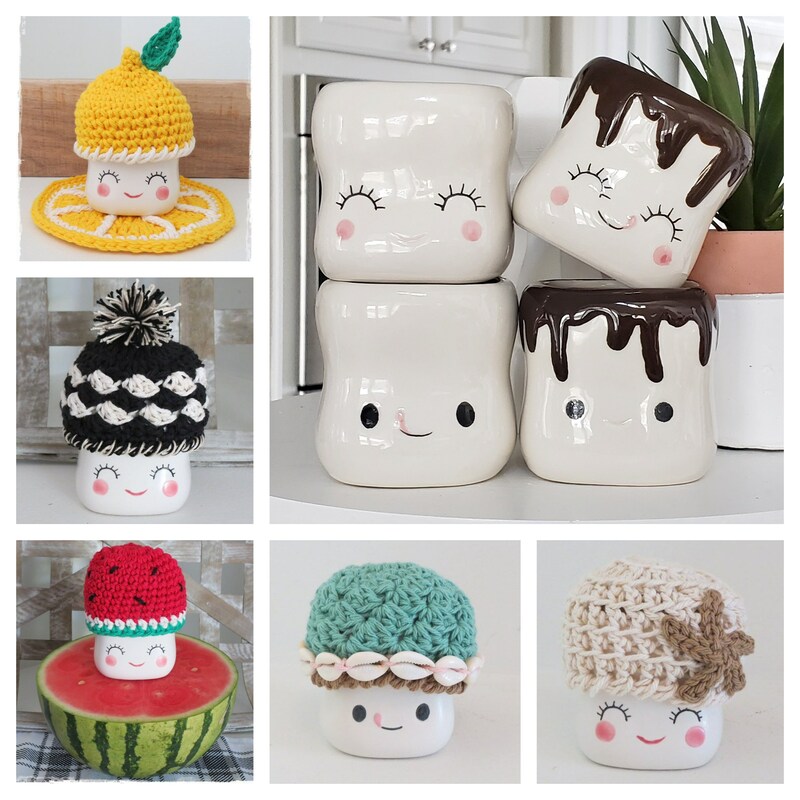 These Marshmallow Mugs are shaped like your favorite fluffy-sweet confection with adorable faces, two of whom are dripping with chocolate. 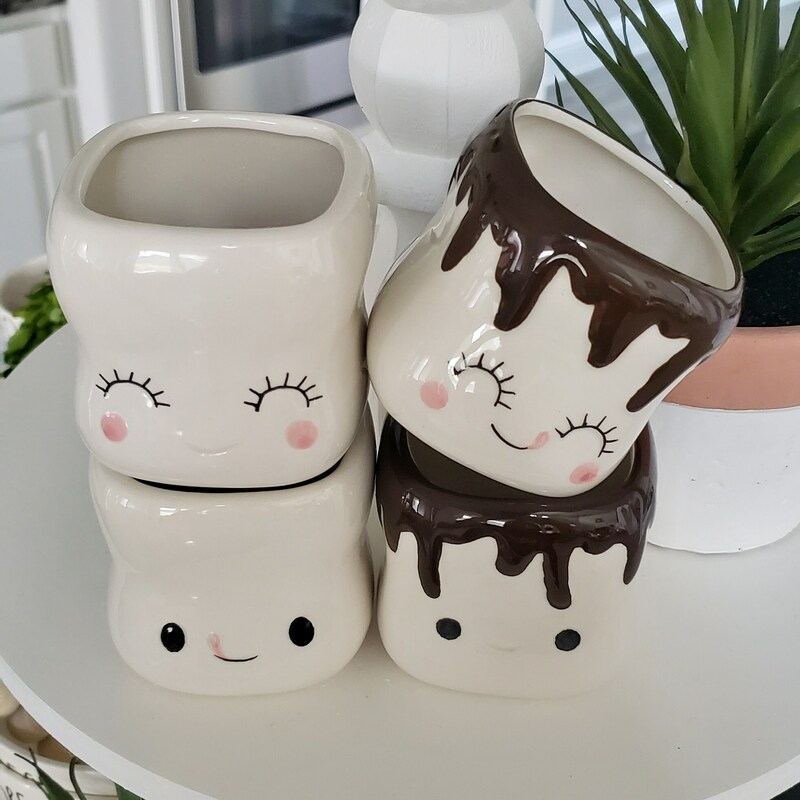 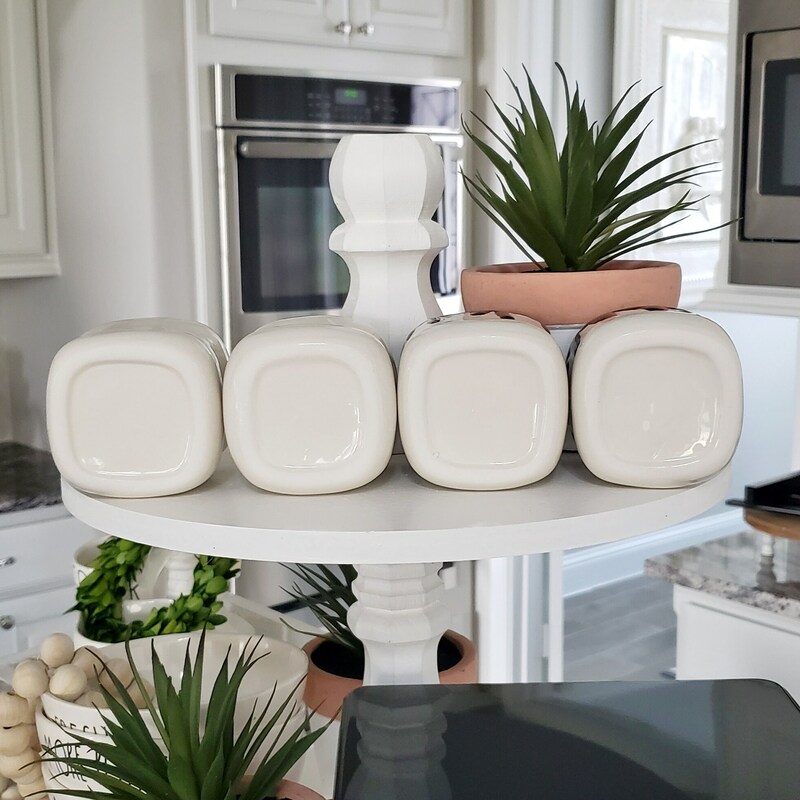 You will receive 4 mugs as shown Each Measures: 2.75W x 2.75H x 2.5D Inches Made of Ceramic Each Holds 6 Ounces Weight: 1.35 lbs.